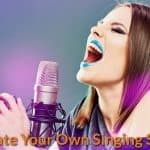 Pursuing a career in singing is a great ambition for many persons interested in music, have a sense of singing and those who are blessed with a good voice. 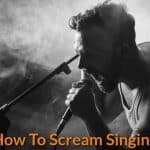 In this article let us explore the many ways to become band vocalist as a lead singer so that you may develop and enhance your career options. And you will also learn the mindset, strategies and skills you must master to become a successful lead singer in the band. Well, you may be a fairly good singer and even have a good voice. But how many people know of it? Your family and close friends who form a very miniscule part of the general public. Can they help you to reach the goal of a famous singer? Do they have the right connections in the music industry? What are the chances then of someone asking you to sing? So, this means that you need to increase your talent exposure. In a very subtle way you need more people to know that you possess good talent and that it is worthwhile asking you to sing. Music is a great ice breaker at any event and also helps you to draw attention to yourself. Here are some tips to increase your talent exposure. 1. Take your guitar along with you or if you do not play the guitar, then just sing at weddings, office parties, birthdays bashes, graduation parties or any sort of get together no matter what. You may not believe it, but most people look forward to this kind of an ice breaker at parties. Soon you will have people joining in, applauding and encouraging you. 2. Local restaurants and bars are always on the look out for young talent to entertain their valued customers. Enroll with them at your convenient timings. 3. You can also find out if any casinos or hotels are hiring singers to entertain their guests. There are many famous singers who started out as a garage singer or a member of a small time gig in a small town. So, it does not matter whether a gig is big or small, get to know them and hand out fliers or business cards and give them a demo of your talent. 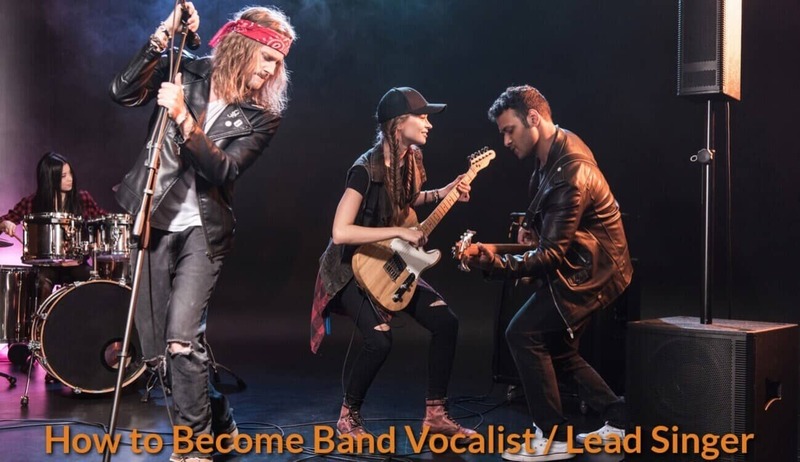 You will never know when one of them may be able to help you land an opportunity to become band vocalist in their band or somewhere where there is a requirement. It is very important to be well connected to the music world with multiple connections. And get yourself ready for the band performance opportunities in your town. Remember to keep improving your talent. Never become complacent about you skill and start imaging that you have peaked in your performance. There is always scope for improvement and keep your ears open for feed back of your performance and to learn good tips from other singers. Listening is as important as singing. It is also important that you learn how to adjust and work with others without compromising on your talent and your goals and giving space for everyone to grow. Singing live on the stage professionally without any mistake is the most critical skill you have to master as a lead singer. 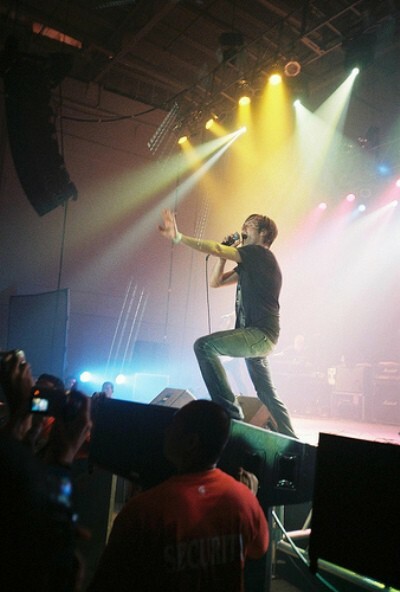 The lead singer is the one who will make or break their band performance. 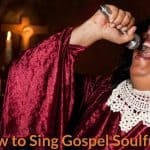 Has there been a time that you feel like you can sing perfectly and in tune every time you practice and you wish to know singing in live band but the moment you are performing you out of key? As you perform together with a band, the most difficult thing to do is the ability of listening to your own singing voice properly. In many cases, you will have a fold back device such as a side fill type of speaker box or a wedge with the vocals coming back to you. The natural instinct you have will be to increase your voice’s volume in the fold back till it is fat and big and you are able to listen to all nuances in your voice. Even though it is true that if you want to have good preservation and control of your own voice, you must be able to listen to it properly, it also presents a trap. The main problem is the louder your voice gets, the more the other band members will raise the sounds of their instruments so they can listen to themselves better. For instance, the person on the drums will hit harder, the guitarist will increase the sound of the amplifier among others. This all comes about due to Performing Law #1. (This is one of the laws I have come up with so that you can get to know how to sing in the live band properly. The presence of a guitar, drum, bass or piano causes masking. This means that certain frequencies, which are produced by the rest of the instruments tends to cancel out or clash with the natural tones found in the singer’s voice. This is a principle that is well known when you are singing live and studio engineers are well accustomed to it. They use the knowledge they have on the masking process to enable them produce wonderful mixes that have a great balance with the parts of the song and all the instruments. Sometimes, all this makes it to hard to sing in harmony especially when you are performing together with the band. The solution to it all is for you to do the opposite; that is not increasing your voice on the foldback. You should train yourself to sing with a reduced aural feedback compared to how you sing when you are alone. Give a try to these things to be able to get rid of the problems that come about due to the tuning problems experienced during a live performance. Get accustomed to the overall feeling that is characteristic when you realize that your singing is in tune. One way to experiment this is for you to get a back track that has no vocals and play it loud on the stereo while singing along. You should keep in mind that when you are performing live you need to utilize what you have instead of wishing you had something better. If you are not a huge star who cannot be able to pay for a quality fold back, then you will have to get used to performing in conditions that are far from being conducive. You ought to be ready to adapt and not to always make yourself the main focus. Performing with a band may not be a simple undertaking. It requires lots of practice and being willing to try out new things, at certain times they are things that you do not wish to even attempt. 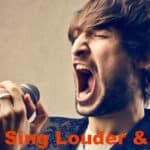 If you keep your mind open everything is possible and you will definitely know how to sing live band easily in order to improve your live band performance. One of the most common ways on singing live is by hearing yourself on stage. You can do this by means of the fold back speakers. You’ll see these speakers sitting back in front of you while you’re on the stage, and they face upwards towards your direction. Supposing that you’re not able to hear yourself, then, you can make a hint to signal the one in-charge of the sound equipment to provide you with more level from the back speakers. The moment you see him staring at you, point your finger upward immediately. This would mean that the sound engineer is supposed to turn the fold back speakers up. It may also be a great idea to request him about this matter before your performance so that you can agree on how you would signal him to adjust the speakers for more volume. Once you see that the sound engineer is not paying attention to you, call him through the microphone, but do it only after you have already completed the song. This way, the public will understand any shortcoming in the performance caused by technical problems. Don’t worry; this will not really affect your performance, and will not make you become unprofessional because technical issues are always possible in a live singing event. An in-ear monitoring device could be the best device to enable you to hear your own voice while you’re singing on stage. In this technique, you can use small headphones for your ears, and listen to the stereo sound of your voice. Since this method has been proven to be really effective in hearing yourself while performing on stage, most professionals are doing this.